Planning a wedding is not an easy task, and there is a lot of pressure and stress involved in the planning process. An Asian wedding is not exceptional as it may require more time and effort when planning compared to a normal wedding. As this is your big day, you certainly want everything to be perfect and run smoothly. In order to have a stress free and smooth execution of the plans for your big day, hiring the best wedding planner is necessary. Wedding planners are well known in taking care of the entire wedding and wedding services and they ensure they work with your style and design as well as your budget. Below are some useful tips for hiring Asian wedding services in London. When hiring Asian wedding services, you should take your time to look for a company that is reputable. You can get referrals from family and friends for the best Asian wedding services in London. This will ensure you get quality services worth your money. Hiring professionals will also ensure that things will not go wrong during your big day, the décor designs and the catering will be done as you had planned. Food is a factor which complements your wedding day. 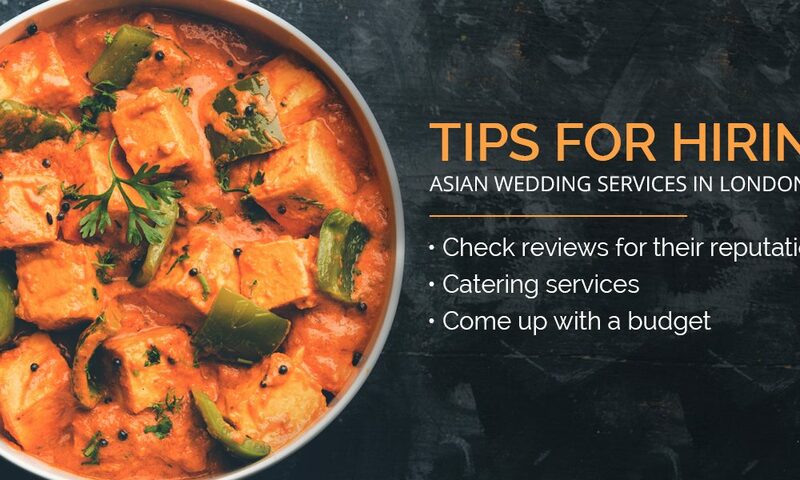 When it comes to catering services, you must choose a catering company that embraces and has the experience of Asian food. Get a catering company which embraces the traditions and that will help you in the preparation of different cuisines. At Bharat Gangaram, we offer professional Asian caterers London, who with their expertise will help you in coming up with a menu to suit your taste and cater for your budget. Reputable companies providing Asian wedding services London come in handy, and you should budget well for their services. Planning for a wedding is hectic and for it to be a success, you need to invest in this. Your budget should cater for all your needs from decoration to food. You should hire Asian wedding services within the limit of your budget so as to ensure you do not strain your pocket or end up borrowing so that your wedding is a success.